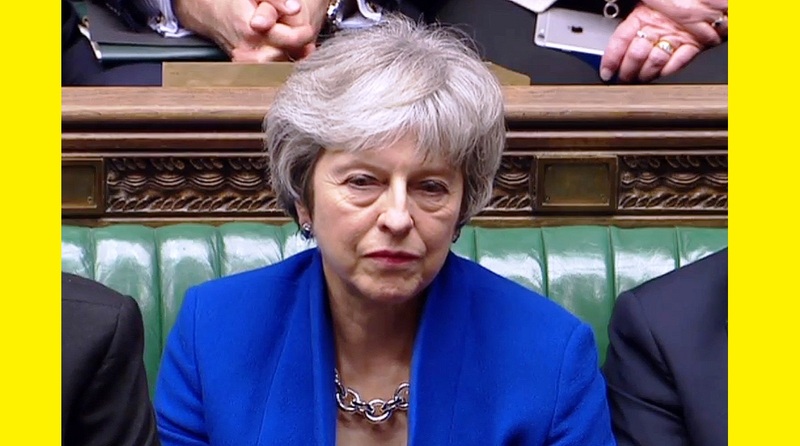 The British prime minister’s response to the worst government defeat in modern parliamentary history was one of sulky defiance. She accepted that the House of Commons is against her Brexit deal. But the vote “tells us nothing about what it does support”, she said. Historic though this vote was – and loud though the delayed cheers in Parliament Square were as news was relayed – it failed to clarify what that something might be. Theresa May showed she does have some political instinct by neatly pre-empting Corbyn’s demand for a general election. She thought her government still had the confidence of the Commons, but said “others have the right to test that assumption” and that she would make time for a vote of no confidence in her government tomorrow. She will win that confidence vote. The DUP confirmed within minutes of tonight’s vote that it will vote against Corbyn’s motion. It is in the curious position of supporting the government so long as its most important policy, on Brexit, fails. So, the prime minister’s own position is surprisingly unchanged. Having seen off a challenge to her leadership from her party last month, she has to start the arduous task of trying to force parliament to choose between the options before it – under intense pressure from the deadline of 29 March. There are still three options, none yet capable of winning a majority in the Commons: leaving with a deal, without a deal or not leaving, via a second referendum. Corbyn faces a difficult choice if he cannot force a general election. But he didn’t sound like someone preparing the ground for a grand switch in Labour policy towards a second referendum. “The overwhelming majority of this House voted to respect the result of the referendum,” he said in his speech before the vote. In her speech winding up the debate, the prime minister denied she was trying to “run down the clock”. And I believe her: she doesn’t want to use the threat of a “disorderly” no-deal Brexit to put pressure on MPs to decide between the other two options – her deal or a referendum – but she cannot think of any other way. The prime minister has an approach to politics. It cannot be called a strategy. It is not even tactics. It is more an uncommunicative stubbornness. It is hard to say whether it comes from ruthless cunning or a lack of imagination, but it sort of works. It was how she reached an agreement with her cabinet on one side and the EU on the other. She spent most of last year trying to persuade her cabinet to sign up to a compromise Brexit deal that came to be known as “Chequers”. She split ministers into small groups to examine the options. They couldn’t agree. She then found herself in a minority in the cabinet committee on Brexit when Sajid Javid replaced Amber Rudd as home secretary, which is why she had to take the decision to a meeting of the whole cabinet at the prime minister’s country residence. Even then, she lost four cabinet ministers: two in July (David Davis and Boris Johnson) and two in November (Dominic Raab and Esther McVey). So, she got her EU agreement but lost her party. The cabinet, after those personnel changes, supports her reluctantly. Her MPs supported her as leader last month, but more than a third of them voted against her, and those who supported her did so reluctantly because they feared anyone who replaced her would be worse. She has lost the Tory Party’s members, as the YouGov survey for the ESRC Party Members Project discovered: 59 per cent of them oppose her Brexit deal and 38 per cent support it. And now her MPs, having propped her up as prime minister, have voted against her policy. Excluding the payroll vote – ministers and MPs who hold party posts, who are required to vote with the government – Tory backbenchers voted by six to one against her Brexit deal. This is only the end of the beginning of the greatest constitutional crisis of our lifetimes.